"Early Case Assessment: Blessing or Curse?" "Loser Pays: What About the Success Fees?" In the first part of the debate, participants discussed whether an arbitral tribunal should be required to provide the parties with a preliminary case assessment, be it orally or in writing, after the first round of briefs. Supporters of such requirement sustained that it would increase the cost-efficiency and predictability of the process. 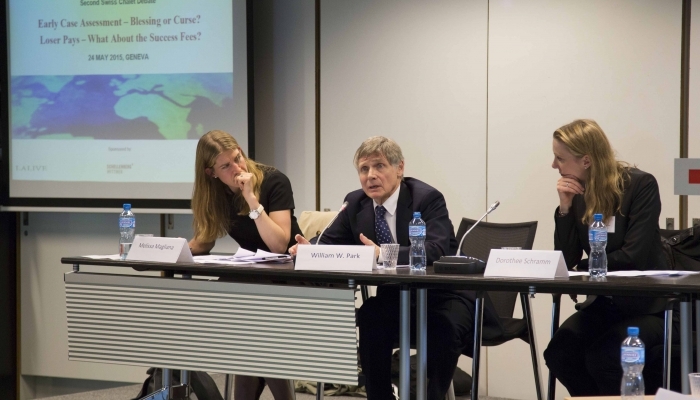 The second proposition put forward was that arbitral tribunals should award success fees increasingly agreed between counsels and their clients under alternative fee arrangements. The event was sponsored by the law firms Lalive, Schellenberg Wittmer and Sidley Austin.